It may seem a little strange to suggest to someone involved in a digital-based industry to turn to print, but often the most inspirational and worthwhile reads come in the form of a book. Regardless of weather you’re a designer, business owner, or simply someone who likes to dabble in creating great content for the web, these picks from the world of print are a must-read. Most of these books are also available in e-book form, too! 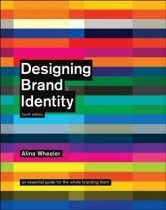 If you have clients who are working on branding or you want to dip in and out of ideas for your own business, Designing Brand Identity: An Essential Guide for the Whole Branding Team should be on your bookshelf. It’s worth buying so you can refer to it whenever you start a new venture, especially as it contains inspirational case studies. A typography geek’s dream, Just My Type is a fantastic read that uncovers all kinds of stories behind everyday fonts and their creators. The section on the London Underground’s typography is particularly interesting. It’s a very accessible read regardless of your knowledge levels, making it great for enthusiasts and pros alike. A must-read if you sell digital services, Selling The Invisible focuses on the importance of forming relationships with customers, moving away from traditional sales and marketing channels associated with physical goods. Designers, developers, and anyone with local clients should have this on their bookshelf. If you feel overworked and exhausted, Winning Without Losing: 66 strategies for succeeding in business while living a happy and balanced life is for you. It’s packed full of short essays to help you get your work balance right as well as plenty of advice for improving all areas of your life. “Why do we splurge on a lavish meal but cut coupons to save twenty-five cents on a can of soup?” Predictably Irrational has plenty of interesting analysis and explanations for the seemingly irrational behaviour of humankind and how you can use it to predict behavioural patterns. Decoded: The Science Behind Why We Buy explains why we form emotional attachments to some brands but not others, looking at a range of different metrics for success from colour to packaging. It’s an interesting read if you’re looking at presenting your products and services to maximum effect. Make your type fantastic with the tips, examples and guidance provided in Detail In Typography. If you love working with type down to the smallest details of spacing and line height, this is definitely worth a browse. It goes into incredible depth, covering everything from individual characters to whole paragraphs, and analyses the links between typography and meaning. Created by the well-known software company 37signals, Rework is a must-have for any small business owner. Whether you’re planning your first business or you’ve been running a successful company for years, Rework has plenty of great ideas and concepts to get you thinking. It’s a great source of motivation and has plenty of material to get your teeth into. How do you make people say “Yes” to you? You’ll find Influence at the top of most marketers’ reading lists, but even if you don’t sell or promote, you’ll find it useful. Influence describes the six universal principles you need to be persuasive and how to recognise them when they’re being used against you. A great go-to source of inspiration, this book makes a great coffee table piece and is easy to flick through when you’ve hit a bit of a brick wall. There’s plenty of information on everything from fonts to logos, but if you’re a pro you’ll probably find the examples and sketches the most valuable aspects. Seth Godin is one of the most well-known marketers of our time, so it’s no surprise that two of his books have made our list. In the first, Permission Marketing, Godin looks at how you can engage customers from the outset and make them more receptive to your messages. 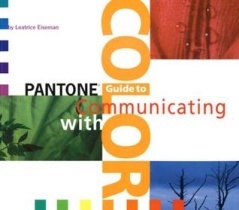 Another great coffee table book, the Pantone Guide to Communicating with Color looks at colours both individually and in various combinations, providing advice on meaning and successful palettes. With lots of excellent photos, this is a great book to flick through when you have a few minutes spare. This book is perfect for you if you’re less than organised when it comes to fonts. 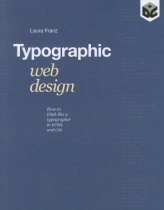 Typographic Web Design: How to Think Like a Typographer in HTML & CSS covers everything from from choosing fonts to using grids, applying your own system across websites, and creating your own font library. A short read, The Truth About Getting Things Done takes a couple of chapters to get going, but when it does its advice and inspiration are second to none. It’s a great buy that you can refer back to whenever you need a motivational boost, and will also help you focus on what’s really important and whilst providing guidance on how to achieve your aims. Described as “equal parts cultural analysis, political manifesto, mall-rat memoir, and journalistic expose”, Naomi Klein’s No Logo is an in-depth look into how branding influences our culture and lives as individuals on a daily basis. It provides a fascinating look at how capitalist societies operate. The Google Story offers a look at the growth and development of Google from its first university days. Outlining every achievement and challenge along the way, The Google Story is an interesting read that tells the human side of the story and highlights the more revolutionary aspects of the company that we tend to take for granted. Want to find out more about typography? Type Matters! is divided into three handy sections and is a great guide for learning the fundamentals of type and common pitfalls to avoid. The information is presented in an easily readable format and avoids complexities so you can get to grips with the basics and make your fonts look great. 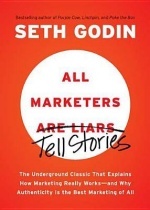 Sell your products and services in the most effective way with Seth Godin’s All Marketers Are Liars: The Underground Classic That Explains How Marketing Really Works – and Why Authenticity Is the Best Marketing of All. Find out how to develop truthful stories and improve your sales and promotion with this excellent book. If you’ve ever wondered what the world’s most influential people have in common, check out Start with Why. Simon Sinek’s book uncovers the patterns of thinking, communicating and acting that the most successful leaders and companies adopt for a winning approach every time. Wikinomics is a rare look at how crowd sourcing and people power can make a difference in the world. Covering everything from social networking to science, Wikinomics has aged surprisingly well and is still worth a read if you’re interested in online communication and collaboration. 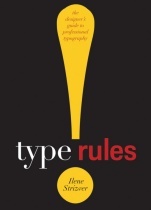 A firm favourite with typography enthusiasts, Type Rules: The Designer’s Guide to Professional Typography covers all the key principles and practices of fonts and type. 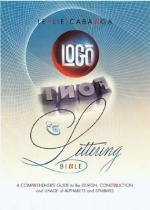 It’s got something for everyone, including how to choose and set type, how to design a typeface and much more. Buyology and its sequel, Brandwashed, take a look at the different processes that go on inside our brains when we’re exposed to brands, products and situations. Buyology looks at how small tweaks to brands can make a big difference, and how what goes on unconsciously is very different to our conscious reactions. A thought-provoking read.